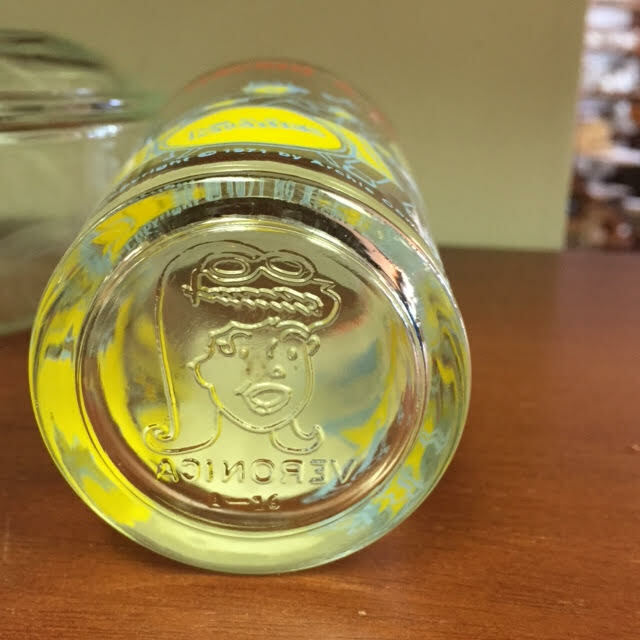 Vintage 1971 Archie’s “Having a Jam Session” Welch’s Grape Jelly Jar Glass featuring Archie, Veronica, Betty, Jughead, and Reggie jamming out with Hot Dog holding his ears. 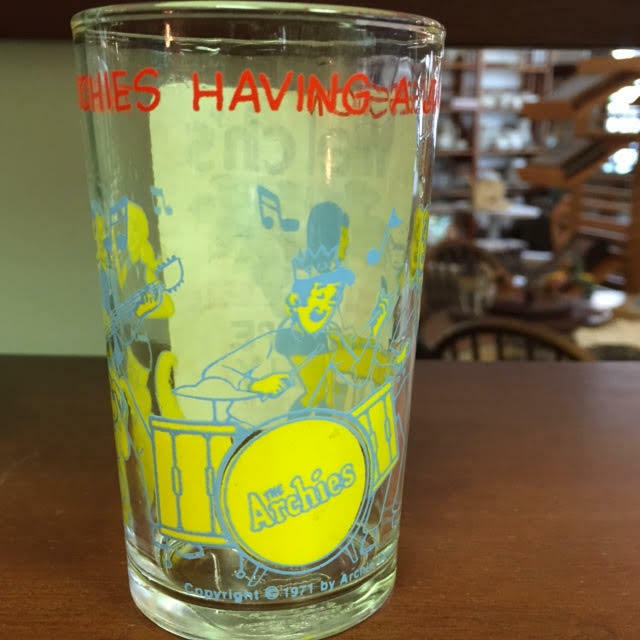 The graphics are in good shape, and there’s even a picture of Veronica on the bottom of glass. Approx 4″ tall. Condition: Very good, with no chips or cracks. 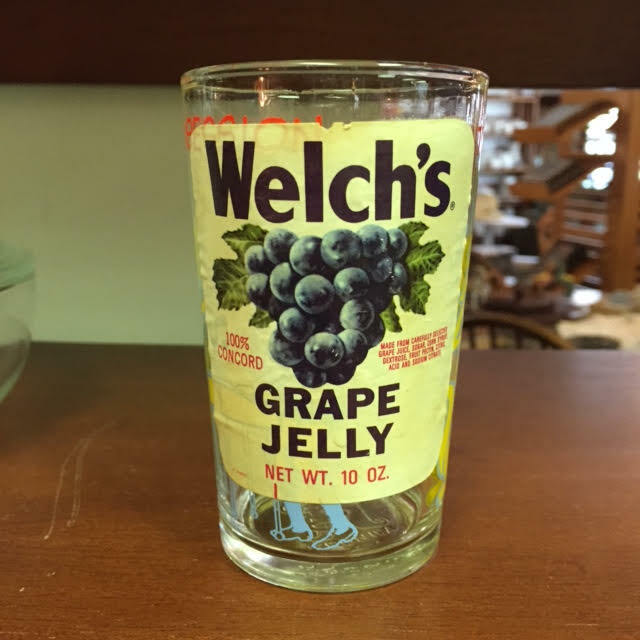 The glass doesn’t have the cover, but the original label is still on the glass. 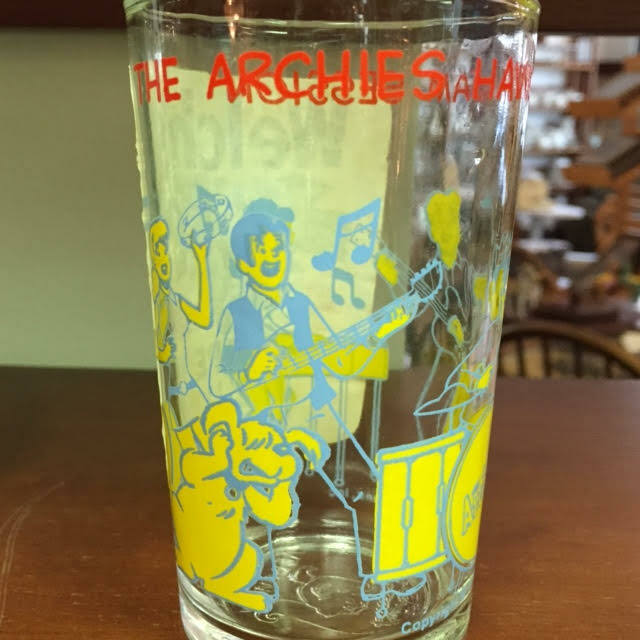 This entry was posted in Advertising & Iconic Pieces, China & Glassware and tagged Archie, Archie's, Betty, grape jelly, Jughead, Veronica, Welch's. Bookmark the permalink.